This free play Christmas Event, Jack frost has escaped from the land of the snow. With his "unforgettable" past, he is bound to cause some trouble. The Queen of Snow is ready to get Jack Frost back to where he belongs - The Land of Snow. As all this is happening, someone vital to Christmas has gone missing... Santa Clause! Now all you have to do is save Christmas! Note: This event was only available from 16 December 2008 until 6 January 2009. You can start this Event in one of three places. 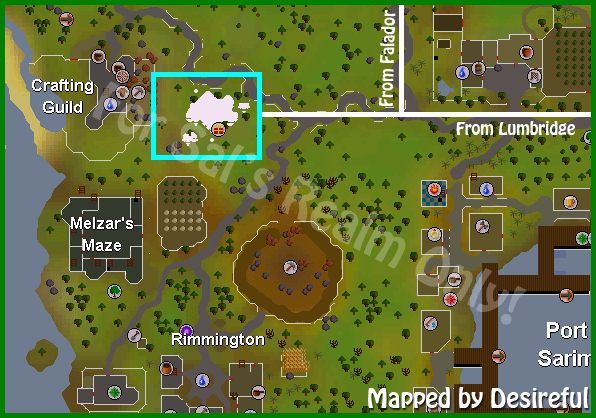 North of Rimmington, north of Falador, and north of Lumbridge. 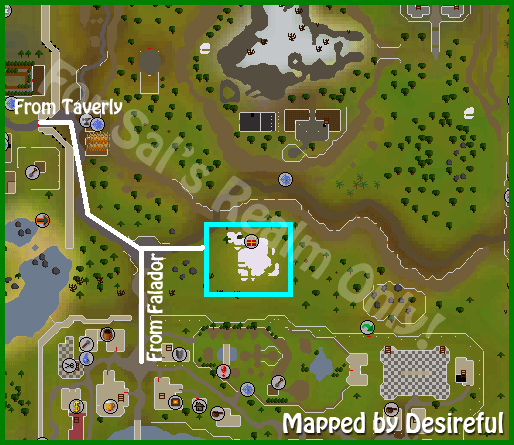 You can tell this is where you start the event because of the Red Present icon on the map. It may be hard to see because there's usually a lot of people doing the event, causing it to be hidden. Don't worry, just use the maps below to find your way. Head to one of the Head Imps to start the event. You will find out the Jack Frost has gone missing and has started icing up everything. Offer your help to start the event. The Imp will give you an amulet which will help you track down Prince Jack. It will also protect you if he tries any of his "icy" tricks on you, which means you should wear it at all times. So now equip the ice amulet you were handed. This is enchanted, so when you operate it a Snow Imp will appear. Talk to him and he'll tell you that we're going to be working together to find Jack. 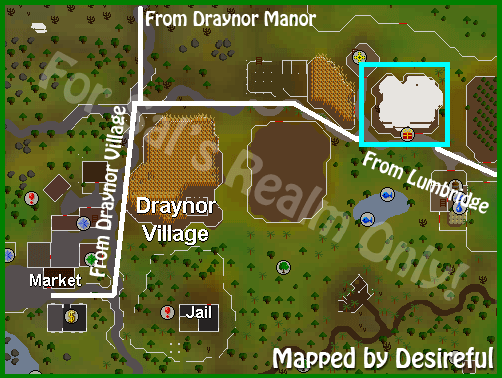 There are ice spots all around the free play RuneScape. Jack is on one of them. It is random for everyone, so you have to try each one. (see the World Map for the Ice Patches.) You'll have to frequently check your Imp to see if you're getting "Colder" (closer) or "Warmer" (farther away). Once your Imp tells you that it's colder, open up your map and check out some of the ice patches around. Once you find Jack, speak with him. He won't want you there, so he will cast an "ice" spell on you, then teleport. Your Imp thinks he knows where he could be. Your imp will then teleport you to a snowy place. He will challenge you to a "duel." The only problem is... there is no attack option! What do you do? You listen to the guide writer of course! You're going to need to slide across the ice. Align your position with Jack, then step onto the ice. You will then slide into Jack, knocking him backwards. Congratulations! But wait...the Queen of Snow just appeared! She will thank you for finding his son. And then the Queen notices... Nick, good 'ol Jolly St. Nicholas (Santa Clause) has been frozen! You'll offer to help (since Jack doesn't know how to defrost), and they will get the logs and tinderbox for you. You will then automatically "defrost" Santa Clause. Afterward, Santa is ready for some talking. Speak with Santa and learn about what happened to him. Your Imp will but in before Santa gets going. 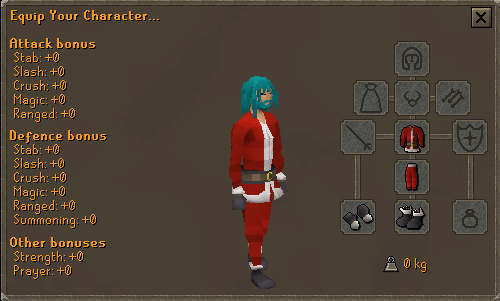 You will then be rewarded for saving Christmas and not letting all of RuneScape to be covered in solid ice! Congratulations! 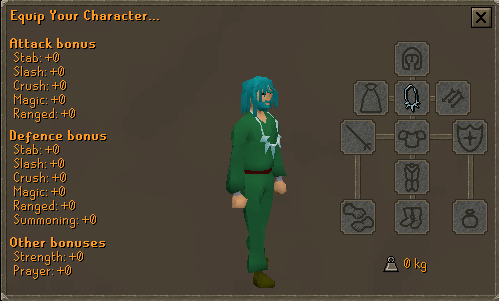 You've completed the 2008 Christmas Event!